Best Gifts for a New Baby Boy! What are the Best Gifts for a New Baby Boy? Welcome to my best gifts for new new baby boy guide! Are you looking for the cutest gift ideas for a newborn baby boy in the family? I love helping new parents and grandparents find the best gift ideas for new babies! *Gift baskets are among the best choices to send to the family if you live far away and can’t make it to the baby shower or birth. On this page I selected the most fun, cool and unique adorable gifts for new baby boys being sold! 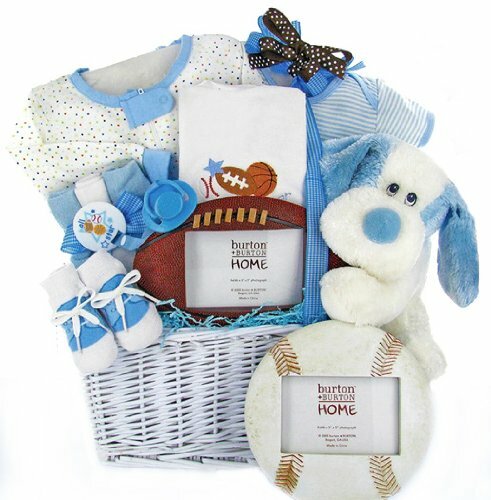 From awesome new baby boy gift baskets to fun baby boy gifts for their bedroom and for themselves! At the bottom of the page you are also going to find cute and affordable newborn baby boy gifts as well! Celebrate the new baby boy in the family with a gorgeous and ultra-cool gift! 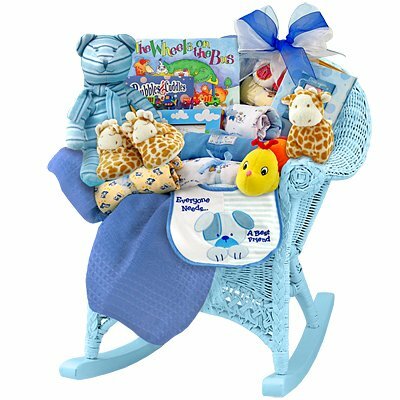 I start off my selection of gifts for new baby boy with this huge baby boy blue rocker gift basket! Gift baskets are always welcome! Like I said before, they come packed with fun goodies for the new baby! This cool blue wicker rocker chair is full of new baby stuff! I love the cute stuffed toys, specially the adorable blue striped bear! There’s also a fun storybook photo album, baby lotion, baby shampoo, baby wash, baby towel, booties, clothing items and so much more! What a wonderful way to celebrate this precious new life! Definitely one of the Best Gifts for any New Baby Boy: A gorgeous new stroller! One of the best gifts for a new baby boy (or any other new baby in the family) is definitely a brand new high-quality stroller! 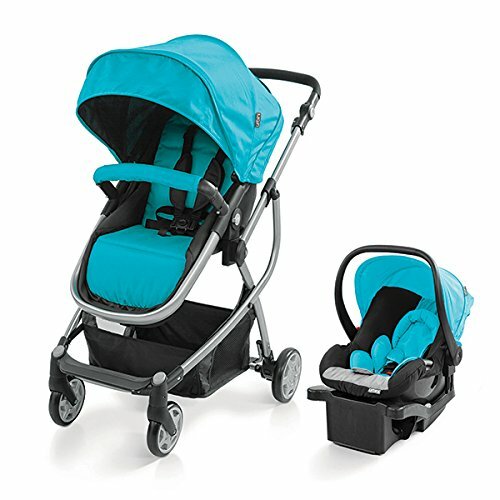 This one, as you can see, besides being a gorgeous and very bright turquoise blue color, also comes with the car seat! This is a very nice and very comfy first stroller! Mom and baby say ‘Thank You’! Great and Cute Gift Idea for New Baby Boys! 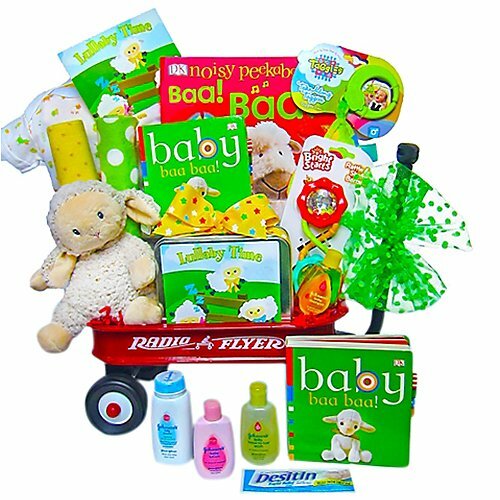 It is filed with beautiful gifts for babies, including cute and fun books, cute blankets, the cutest and the softest plush lamb, baby bath stuff and of course the gorgeous red baby wagon! 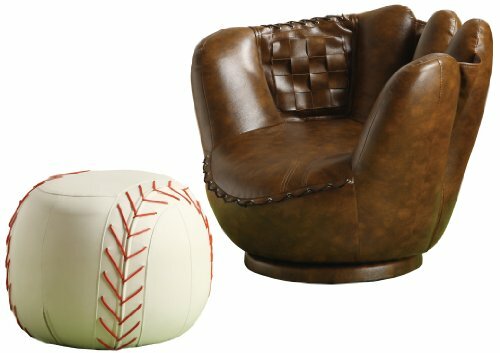 How about a Cool Sports Glove Chair and Ottoman? If you are looking for the most fun and coolest gift ideas for new baby boys, how about this ultra-cool baseball glove shaped chair and ottoman? It is going to look awesome in your new baby boy’s bedroom! Beautiful Gifts for New Baby Boys! You can’t go wrong by giving the new parents a gorgeous rocking horse! This is a toy to remember forever! I love the gorgeous dark colors and the ‘new prince’ chair! 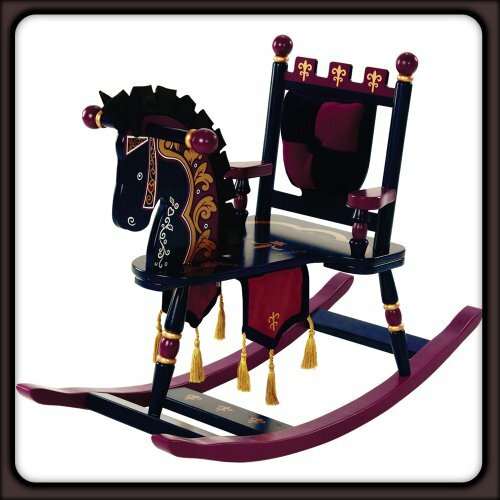 I bet you can already imagine your little one using his beautiful rocking horse in a few months! 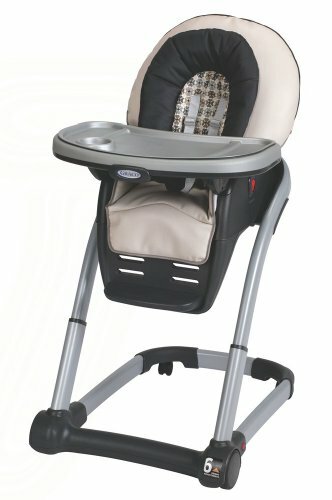 How about a great quality high chair? If you are looking for the most useful and practical gift idea for the new baby boy in the family, something that mom is going to be grateful forever and last for a long time, then I definitely recommend a high-quality highchair! It is one of the most useful gift ideas for babies you can think of! This 4 in one high chair will ‘grow’ with your baby boy and will last for many years! Most parents who bough this comfy high chair gave it 5 stars! It is also very easy to wash and clean and the price is great! How about a Fun and Cool Jungle Theme Jump and Learn Jumper? Great FUN Gift Idea for a New Baby Boy! Babies also need to exercise their leg muscles! This gorgeous jungle themed baby jumper offers 58 fun learning activities for your new baby to reach important milestones in his development! Besides, babies LOVE to play in their cool learning jumpers! They love to ‘be able to ‘stand up’! They feel safe and secure inside! Overall, a great gift idea for a new baby boy in your family! It’s a Batman Baby Walker! Awesome Gift Idea for a New Baby Boy! This is one of the coolest gifts for a new baby boy I have ever seen! 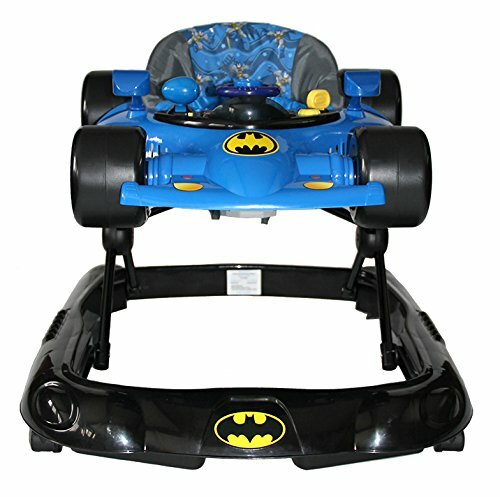 It is an ultra-cool blue Batman baby walker! It is very colorful and full of fun lights and sounds! How about a Cute Playpen? You can’t go wrong by giving any baby in the family a cool, fun and colorful playpen! When my daughter was a baby she would spend most of her day inside her fun playpen playing with her favorite toys, watching TV and eating! She had a blast and I was able to relax too! 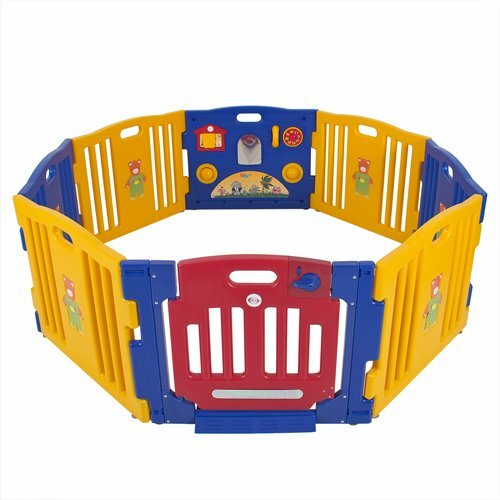 This is a very cute and colorful playpen! Happy buyers say it was worth every penny! 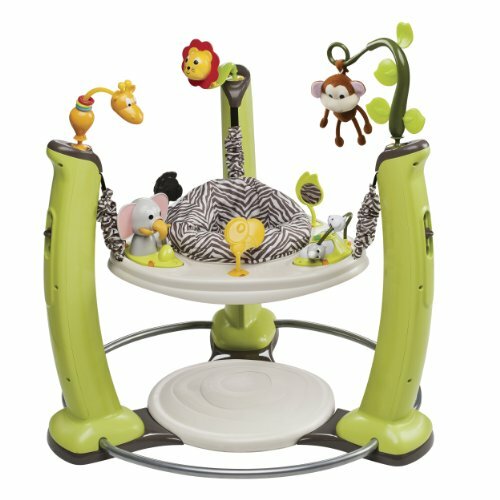 Fun Jolly Jumper On a Stand! Can you imagine how much fun your baby boy will have jumping up and down while you make lunch or do the laundry? These baby jumpers are great ‘baby-sitters’! They keep babies happy and giggling while mommy works! 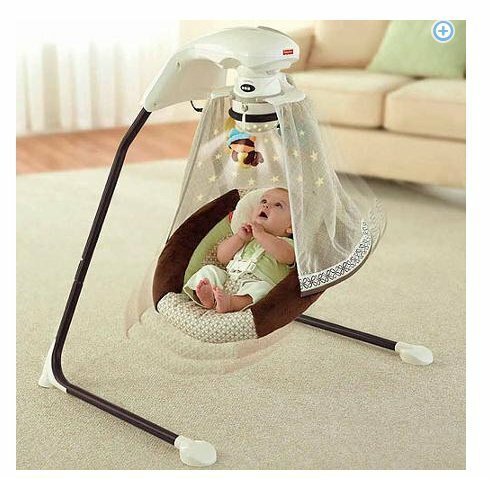 How about a fun Baby Swing? Perfect to soothe a cranky baby and put him right to sleep in no time! I had one of these for my daughter when she was born and it was a miracle! Another great gift idea for a newborn baby boy in the family or baby shower is his very first toy box! The espresso color is beautiful and it goes well with all kinds of decor and colors! And last, but not least, how about this 19-piece newborn baby boy essentials gift set that includes fun baby hats, the cutest onesies, baby blankets and bibs! Everything is made from 100% cotton! *Here are some other gift ideas that are also great for new babies!